At the Intel Developer Forum, the company will introduce low-power Atom chips code-named Bay Trail, which will go into tablets that are priced from US$150. The show will also be a litmus test for new CEO Brian Krzanich, who will deliver the keynote speech on Sept. 10 and highlight Intel's long-term strategy as the company diversifies into the mobile market. 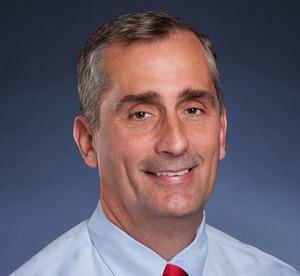 Krzanich replaced the popular Paul Otellini in May this year, and has put mobile chips at the top of his priority list. He has also created a "new devices" group that will focus on emerging areas like wearables. The chip maker is already planning to release a TV service through its own set-top box, and Krzanich may touch upon the wearable devices during his opening keynote on Sept. 10. A distraction will be an Apple product launch event on Sept. 10, which starts just one hour after Krzanich's keynote begins. Apple's iPhone 5 launch event was held last year on Sept. 10, one day ahead of IDF, but chatter about the smartphone and other Apple products lingered on the IDF floor for the entire show. Apple is expected to launch new iPhones at its event. Intel has said Bay Trail tablets will start at US$150. The first few models will likely be priced at about $400 or more and run Windows 8.1, but some Android models shipping toward the end of the year will be lower in price. Tablets with ARM processors and Android are available for under $100 in some cases, though some popular brands such as Google's Nexus 7 start at over $200. The chip maker is also expected to announce new server chips, and will also touch upon new data center technologies such as optical networking. Intel is tuning many of its server chips specific to software applications, and many technology briefing sessions will be focused on software development for big data, supercomputing and mobile devices. Intel is also dabbling in the area of open-source PCs and the "Internet of things." In addition, the company will demonstrate Thunderbolt 2, which will transfer data between host PCs and peripherals at twice the speed of its current 10G bps (bits per second) rate.